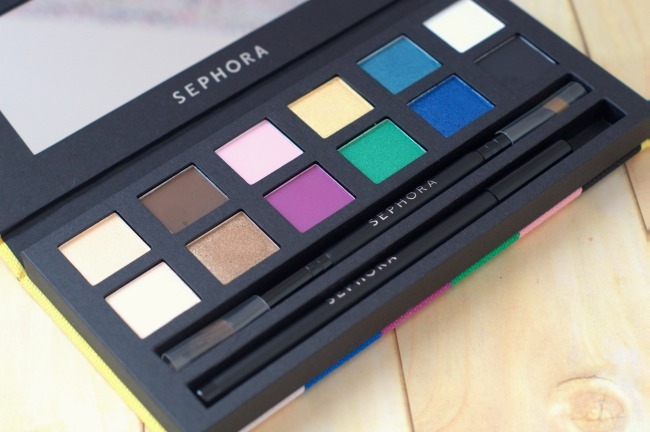 Today, I’m swatching the IT Palette – Color Spectrum from Sephora. I’ve had this palette for a while, as I bought it last summer when it was on sale at my local store. As of this post, it’s still available on the Sephora site. I have a problem. It’s a problem that I’m sure many of you have as well. I buy makeup, then never seem to do anything with it. Perhaps it’s that I get something that I’m more enthused about. Or I don’t want to disturb the colors in the new palette. Whatever it is, I need to get over it. 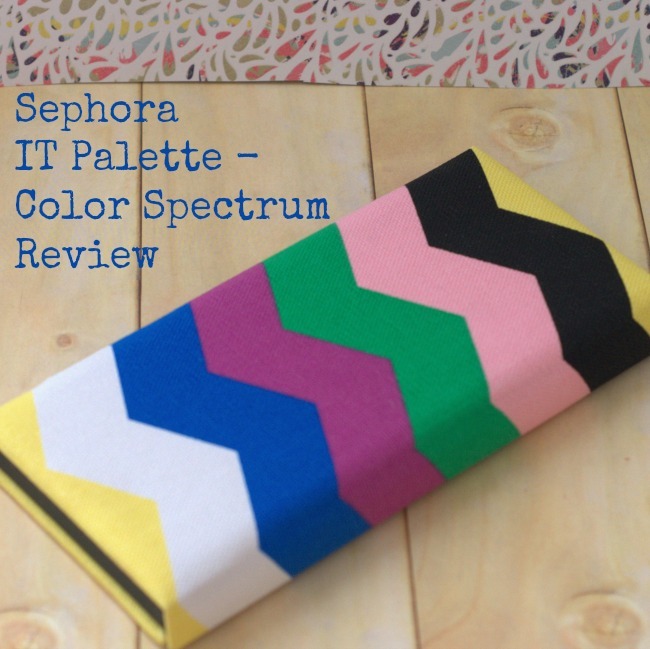 The IT Palette – Color Spectrum was one I lusted after the first time I saw it. I was out running errands and popped in to Sephora. I liked this palette, but wasn’t sure about it. I decided to put it back, and ran the rest of my errands. All day, I found myself thinking about the It Palette – Color Spectrum. So…I went back to get it! The IT Palette – Color Spectrum has 12 eye shadows, a double-ended brush, and an eyeliner in a convenient package. The outer part of the palette is fabric with a bright Chevron design that juuuussst about matches the eye shadow shades in the palette. 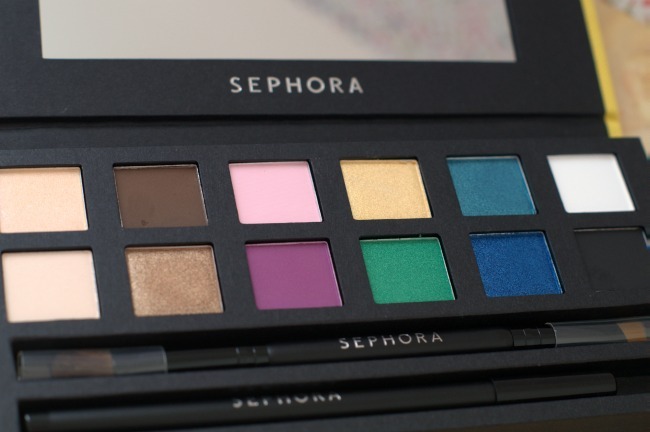 The eye shadows along the top are more neutral shades, while the bottom row is brighter, vivid colors. There is also a base and an eye highlighter included in the 12 colors. 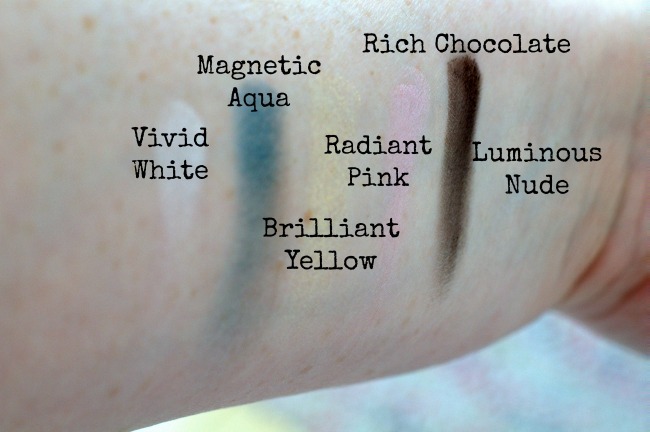 The shades are all fairly well pigmented. The shadows aren’t what I’d call creamy, but they’re definitely blendable and can be layered. Charcoal black is a little powdery, but that’s almost to be expected for a black eye shadow. 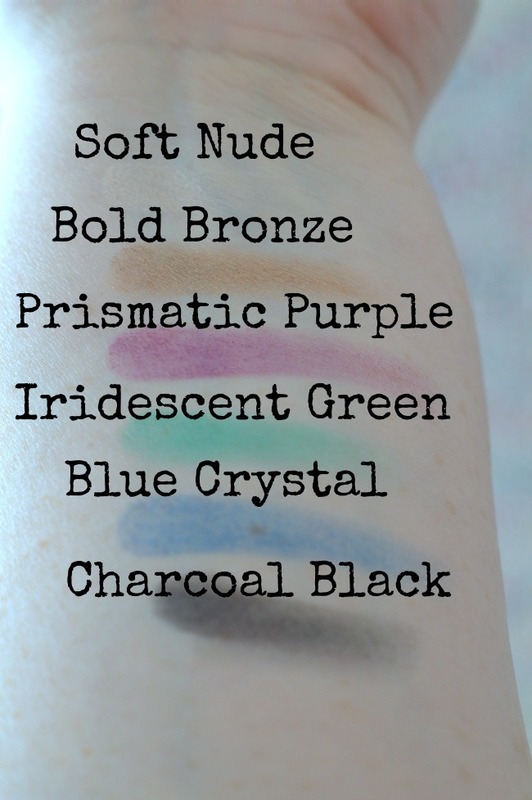 They wear okay, but you’ll probably want a primer, especially for the more vivid shades. Unless, of course, you want something a little less vibrant. The included brush is pretty decent as well. It’s dual ended, with an all-over shadow on one end and a line brush on the other. The pencil eyeliner is amazing. It’s almost worth the price of admission on its own. The best part? NONE of the items in the palette irritated my eyes. I have insanely, super sensitive eyes, and they were just fine. This palette is available at Sephora for less than $20! Do you have the IT Collection – Color Spectrum palette? What are your thoughts?